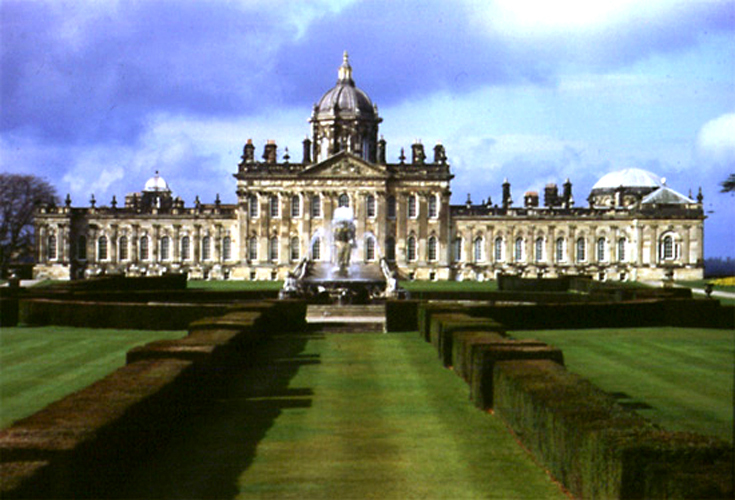 Castle Howard in Yorkshire is one of a handful of great 18th Century stately homes still in private hands. 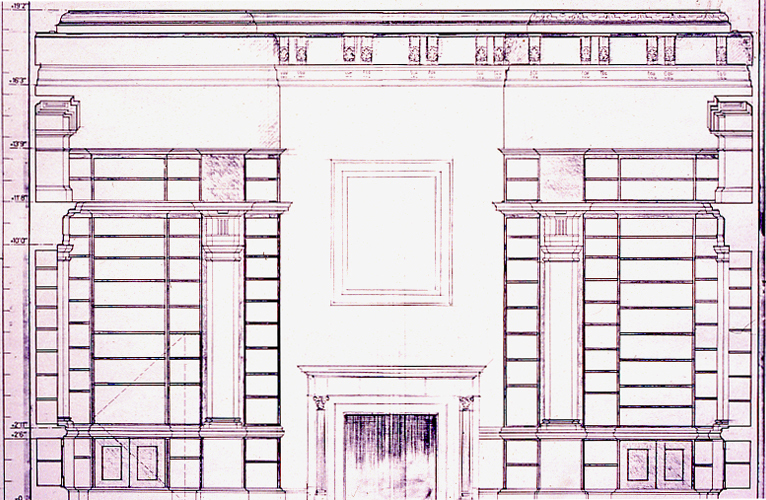 It was designed by Sir John Vanbrugh and Nicholas Hawksmoor for Charles Howard, 3rd Earl of Carlisle in 1699. 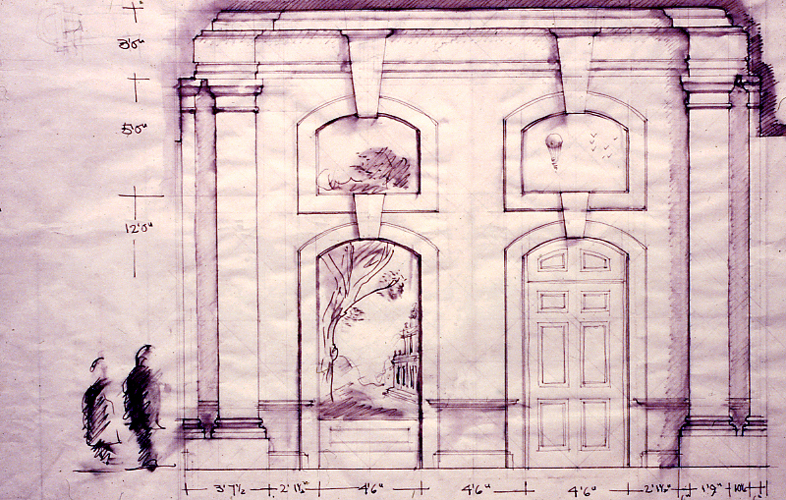 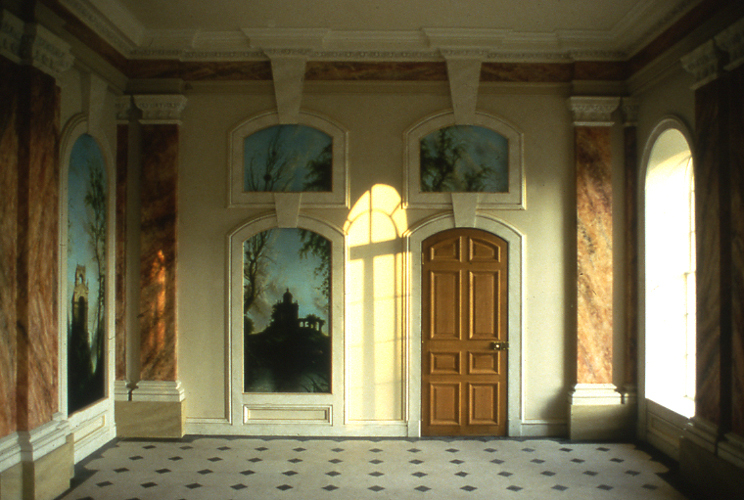 Julian Bicknell's long association with Castle Howard began in 1977 with a student project for an 'Adventure Garden'. 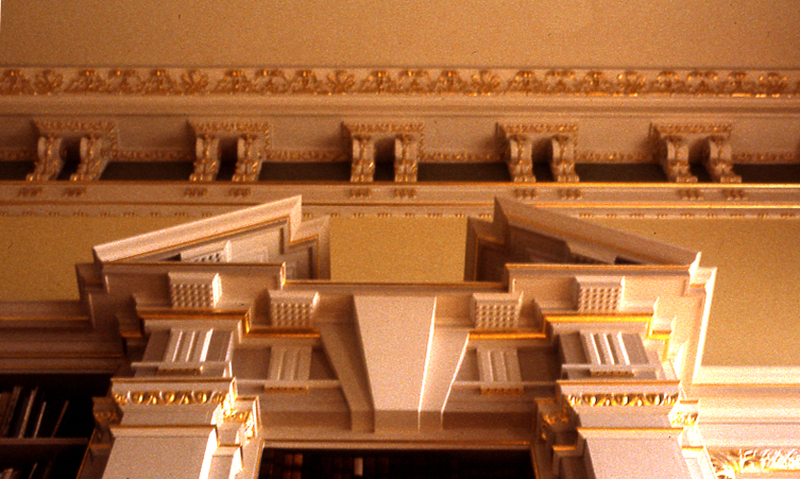 He and the Royal College of Art Project Office subsequently designed the new admissions complex in the stable block and other facilities for the visiting public in the house itself, as well as a graphics and signing system for the house and grounds. 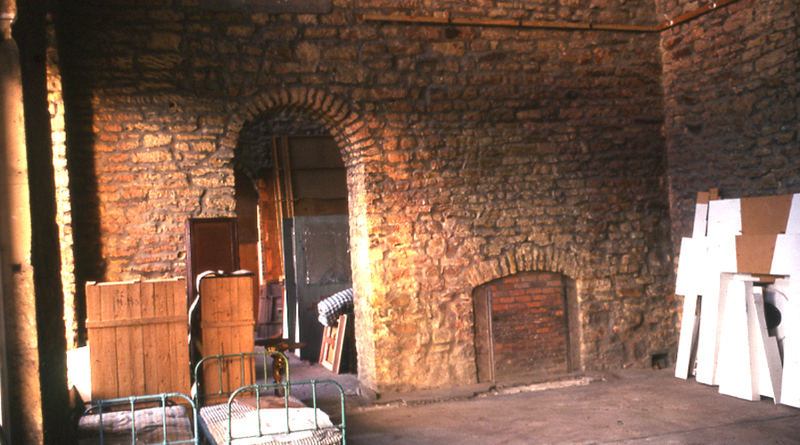 In 1940 fire had broken out in the South Front and destroyed two thirds of the state rooms, leaving the stone shell of the building severely damaged. 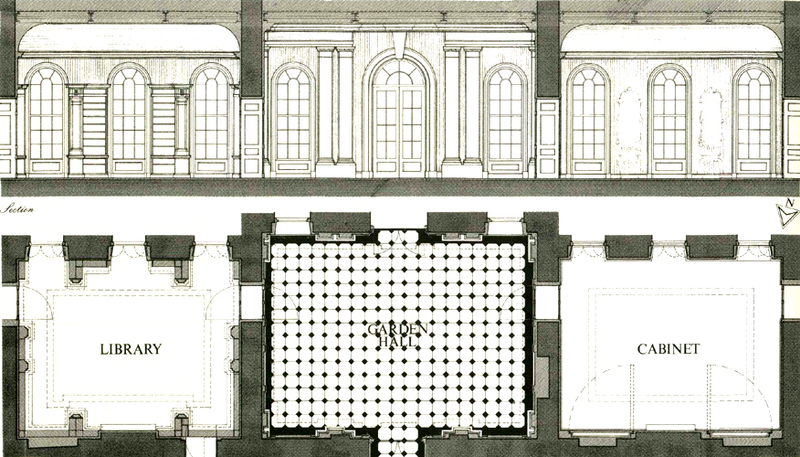 The stonework has since been repaired and the Great Hall restored, but a large proportion of the South Front has remained as a shell. 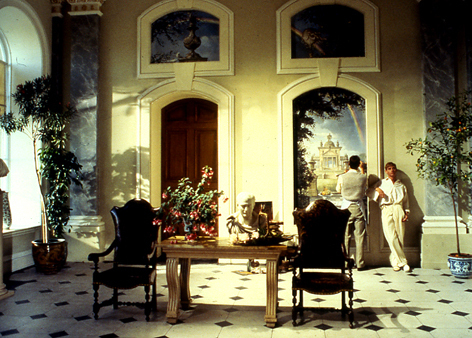 In 1979 a new interior for the Garden Hall was designed and built in preparation for the filming of 'Brideshead Revisited'. 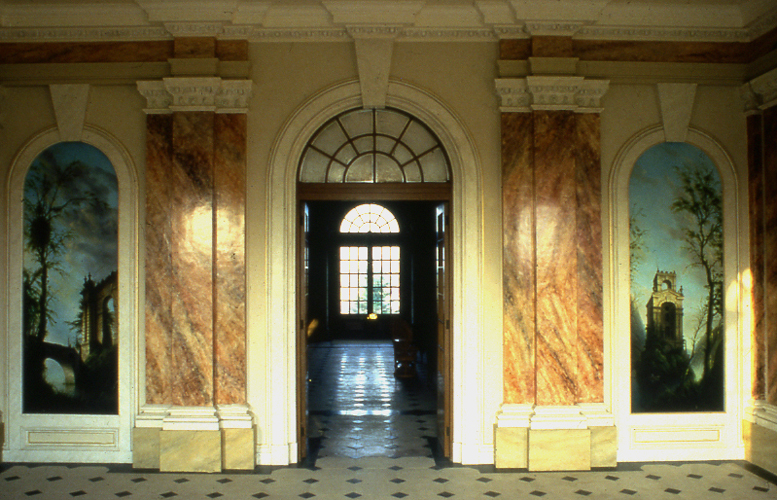 The design does not reproduce the original interior, but uses the early 18th Century vocabulary of Vanbrugh and Hawksmoor, with the linked keystones, band architraves and isolated pairs of columns, to make an impressive formal interior at the heart of this great house. 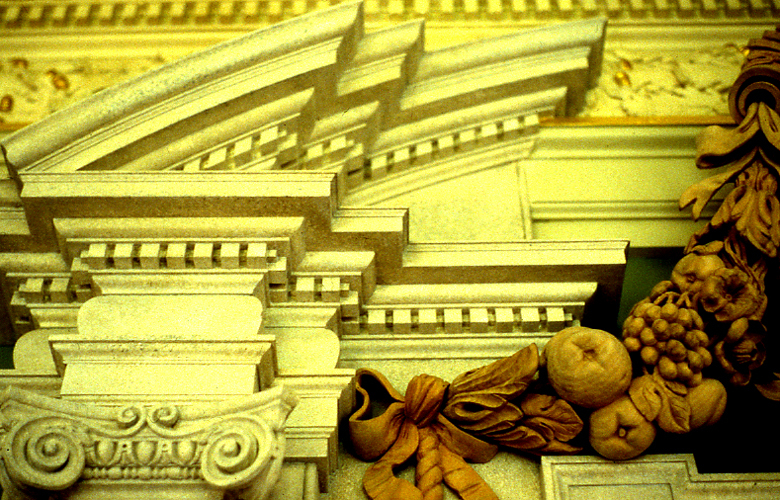 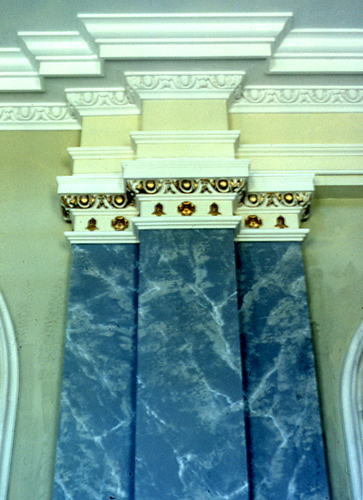 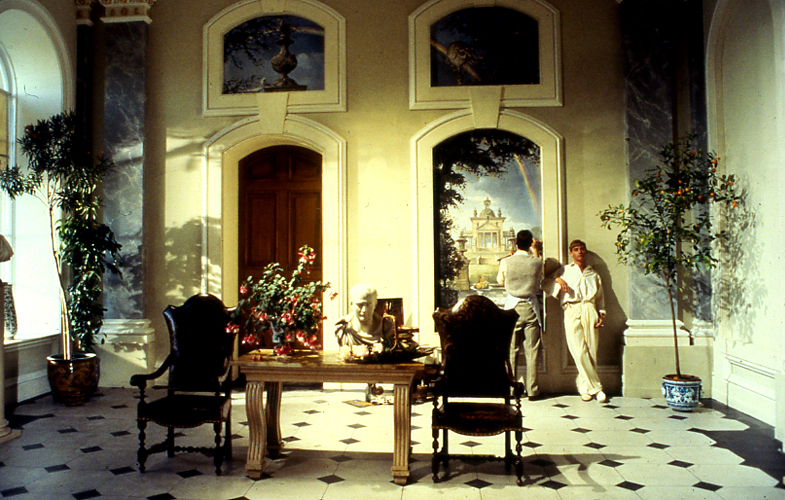 After the filming, the room was completed with a Portland stone floor, marbled and gilded columns and four mural paintings by Felix Kelly depicting imaginary buildings in the Vanbrugh manner. 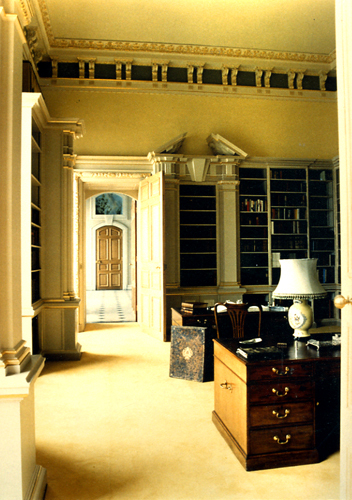 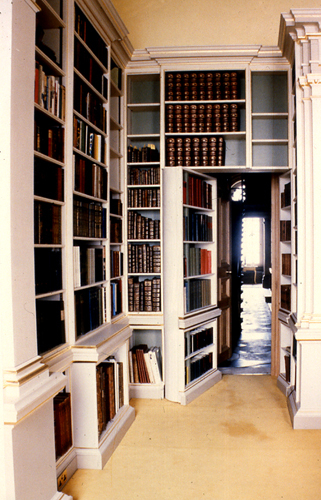 In 1982 the interior of the Library, shown here with the Garden Hall beyond, was designed and built to house the unique collection of 9000 books on art, architecture and topography, some of them acquired when the house was first built.